92% of actors struggle to make a living while 8% are successful. This statistic comes from The Guardian and I can verify its accuracy through my own experience of decades in the acting industry. Acting success can be difficult. It is not an industry that forgives mistakes easily. Early in your career, you need to walk the tightrope and stay in the “8%” and avoid falling into the “92%”. the mistakes that aspiring actors make that lead to a career of struggle and disappointment can be avoided. You see, I used to be an aspiring actor myself. 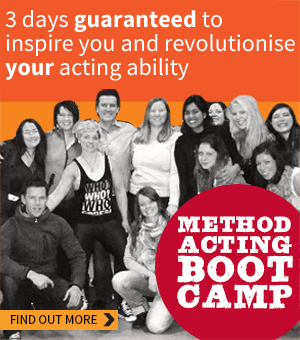 I’ve worked with hundreds of aspiring actors as an acting coach. And I’ve developed relationships with many casting directors and industry insiders throughout the years. All this insight has enabled me to identify the 5 Most Common Mistakes that Cause Aspiring Actors to Fail. If you needed to have a life-saving operation and you interviewed two surgeons, one with years of training in the area of your need and another who had done a few operations that were sort of like the one you needed, but not quite…who would you select to perform the operation? Well, casting directors think the same way. If they have to select between two equally talented actors, they will chose the one with the better training every time. Any actor can get lucky and give a great audition now and then, but if you don’t have the proper training on your CV, the casting director will doubt your ability to give consistently great performances. One rule for acting success is to know what casting directors want and give it to them. And professional training is what they want to see. Aspiring Actor Mistake #2: Picking the Wrong (or no) Technique. Remember what I said about 92% of actors struggling and only 8% succeeding? A glance at the best actor winners at the Oscars of the last 20 years reveals a rather eye-opening statistic. 80% of the best actor winners of the last 20 years studied an acting technique known as “The Method”. If the fastest way to success is duplicating what the most successful individuals have done…and 80% of the most successful actors of all time study The Method acting technique…shouldn’t you do likewise? Many aspiring actors I’ve come to know over the years seem to approach acting from a what-can-I-take-from-the-industry perspective. * Sometimes a lack of success has led them to feel frustrated and they feel they must take, take, take before it’s too late. * Sometimes they got into acting because of low self-esteem issues and everything they do is about getting attention. * Sometimes they’ve been brainwashed into thinking that show business is a cut throat business where cooperation and being helpful are seen as signs of weakness. Whatever the reason, they become problem creators, rather than problem solvers. And while it’s true that some successful actors are known for being difficult to work with, it’s important to remember that they were not that way when they were ASPIRING actors! Most of them got that way AFTER they achieved a degree of success. Many aspiring actors insist that they are artists…not business people. They exhibit distaste and disdain for anything as “sordid” and mundane as marketing and promotion. But we have a name for artists who do not take the time to learn the business side of our industry. They are called STARVING artists. * Is your head shot brilliant… not just ok…not just good…but brilliant? * Do you have and follow a system of relentless contact? * Do you know what parts are being cast in your area right now? * Do you only apply for specific parts that are relevant to your acting talents? Trust me, the “8%” have all of this locked down. If you can’t answer yes to all these questions, address them now or fall into the deadly “92%”. The bottom line is that the profession of acting is not for those who give up easily. If you avoid the 4 mistakes above, you’ll greatly increase your chances for acting success, but you’ll still need to persevere. The “8%” are actors who not only avoided, or corrected, the four mistakes above, but also kept trying, kept working, kept training, kept auditioning and kept getting better every single day. If what you are doing, is not working, don’t give up. Assess your situation and do something different. The definition of insanity is doing the same thing over and over and expecting different results. Keep trying. But don’t keep trying the same things over and over if they are not working! As Winston Churchill said, “Never, never, never, never, never give up!”. If your goal is to move from struggling actor to successful actor…to move from the 92% to the 8%, this is your next step.